Growing up young in his life, Bj has always been involved with the landscape of a home. With having a father that taught him a great deal of what it takes to design, build and install a landscape, the passion for the outdoors came naturally. Since 1993 he has been in the landscaping industry working alongside many of the best in the industry and has helped shape much of Iowa’s Great Lake region landscapes throughout the years. 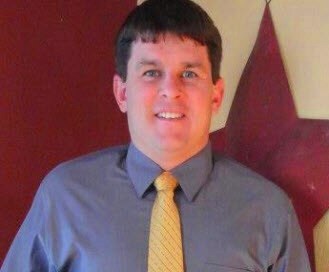 A Terril, Ia native and Iowa Lakes graduate, Bj took over the 4 Evergreen business in 2004. Shortly thereafter he expanded to the size of an operation today. Along with the employee support, Bj based his business on the principle of hard work, customer relations, and community service to build his business where it is today. While Bj does enjoy the design side of the landscaping services here in Millford, he always finds enjoyment of being in the field alongside his employees working on the installation side. This becomes the aspect of the landscape enjoys the most, as well as those most homeowners, like having him on site to walk through the project, make on the site changes and or additions, and teaching his employees some of the same values his received as a younger landscaper. 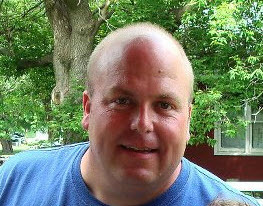 Bj currently resides in Millford and enjoys being part of the community with his wife and daughter. A Kirkwood College graduate, Roger or “Ned” as some may call him, has the expertise to design your new landscape. When graduating with a degree in horticulture, Roger was eager to put this knowledge and information to good use in the Iowa Great Lakes region. Since 1976 Roger has been involved in the landscape industry designing and installing many landscapes that line the side of Spirit Lake, East and West Okoboji lakesides. While he enjoys working in the field, he has a great relationship with his clients, this is what makes him so popular when interviewing different landscapers in the area. His ability to listen, understand and communicate with you about your landscape makes the whole landscaping process easy. 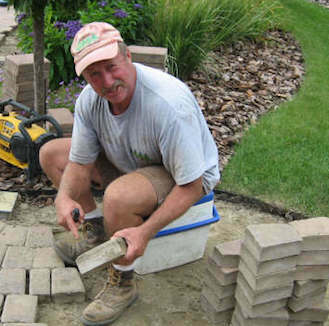 He also is a great teacher in the craft of landscape and has trained and worked alongside the best in the industry here in Spirit Lake and the Okoboji’s. Just as BJ, Roger, and his wife live and share the same community pride in Millford, making this their home with their two boys. Looking for a great landscape design that will withstand the time, ask to speak with Roger when starting your next landscape project. More information coming sooner or later!